Pastor Brown believes in collaborative and partnerships in ministry. He has sought to establish these with any groups and organizations whose purpose and desire is to expand the Kingdom of God. 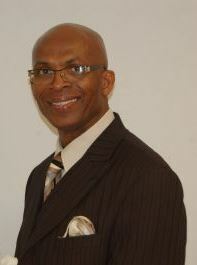 Pastor Brown attended Atlanta Christian College and completed his undergraduate work at Milligan College where he received his Bachelor of Arts Degree in Bible/English and his teacher’s certification. He received his Master of Divinity degree from Emmanuel School of Religion, Johnson City, Tenn. While in Tennessee, Pastor Brown worked in both college and High school. He was Assistant to the Dean, Director of Student Affairs, a recruiter and a counselor at Knoxville College in Morristown. He also taught in the public school system as a High School teacher. In Georgia he also worked with High School age students as a Job Readiness Facilitator through the Rite Course program. He is married to Pauline Brown, and they are blessed with a beautiful daughter, Christina and an energetic spirit filled grandson, Caleb.